Animal abusers are five times more likely to harm humans. Various studies have shown that there is a high correlation between domestic violence and animal abuse, as well as child abuse and animal abuse. Statistics show that 70% of the most violent prisoners in a study of federal prisons had serious animal abuse in their histories. California Senator Scott Wilk and the Animal Legal Defense Fund are sponsoring the Animal Cruelty and Violence Intervention Act of 2019, Senate Bill (“SB”) 580, to address this link between animal cruelty and violence against humans and to stop the escalation of dangerous behavior among offenders who hurt animals. The bill requires offenders convicted of serious animal abuse crimes, as well as those convicted of crimes associated with underlying mental health issues, such as hoarding, to undergo a mandatory mental health evaluation and possibly ongoing treatment, if deemed beneficial by the assessing mental health professional and the court. Judges are also empowered to order people convicted of less serious crimes to enroll in humane education courses that provide people with the skills they need to interact with animals in a positive way. 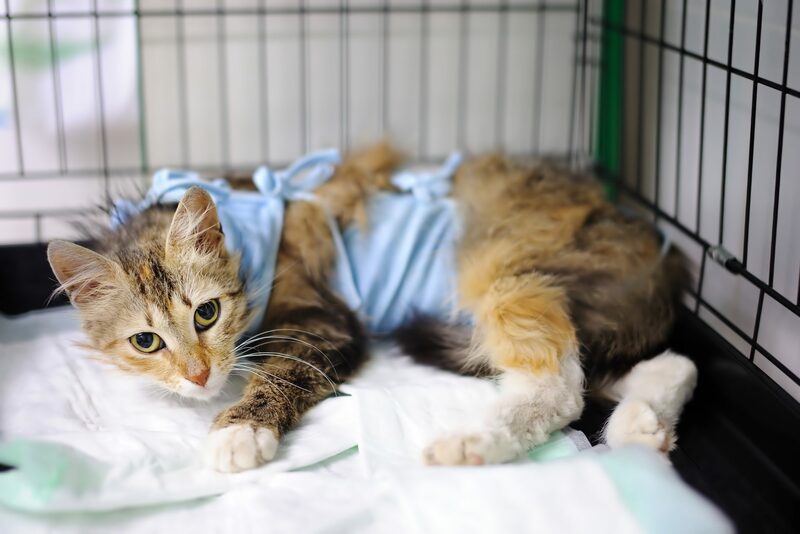 The Animal Cruelty and Violence Intervention Act of 2019 gives judges the tools they need to rehabilitate people convicted of animal abuse and prevent the escalation of dangerous behavior, to protect animals – and humans – from future violence. 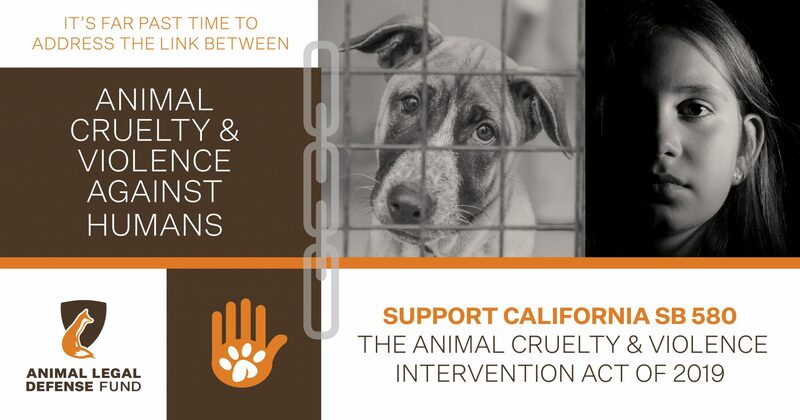 We need your help to make sure lawmakers know that strong and effective animal cruelty laws are a priority issue for Californians. Follow our Facebook page and sign up for action alerts to ensure you’re notified when we need you to contact your legislators in support of SB 580. 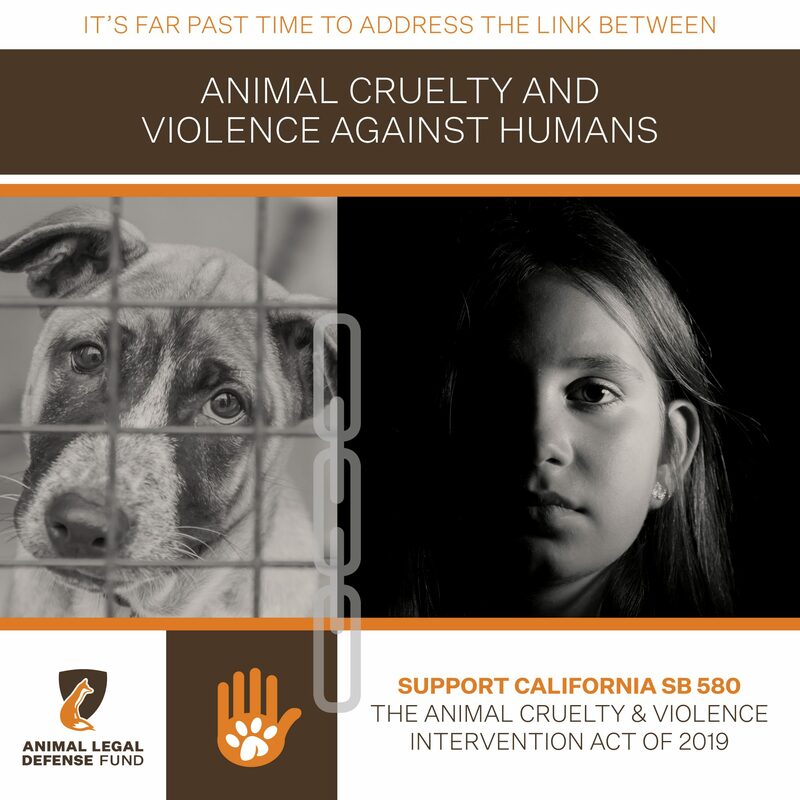 While you’re rallying support for the Animal Cruelty and Violence Intervention Act of 2019, SB 580, fellow Californians may have some questions. Review these talking points so you can explain why this legislation is so important. Animal abuse is among the most misunderstood and undercharged crimes in our society. There are limited sentencing options, and judges have little power to ensure animal abusers receive appropriate treatment or education. In California, fines, limited jail time, and forced animal surrender are about the only options. None of these options adequately address the underlying causes of animal cruelty nor do they do anything to attempt end the cycle of violence and thus prevent future acts of violence against animals and humans. Regardless of how stiff the penalties become, those convicted of animal abuse will at some point in time be back in the community and around animals once again. This bill truly prevents animal abuse by ensuring the most serious offenders are evaluated by mental health professionals and receive appropriate counseling. For some forms of animal cruelty, such as hoarding, the rate of recidivism is nearly 100%. Mental health evaluations and treatment are critical components of any long-term solutions. The bill simply gives judges additional tools in combating animal cruelty to issue appropriate. It would not weaken the existing animal cruelty laws in any way and allows offers positive additional benefits to offenders as well as animals and people. The link between animal cruelty and violence towards is humans is well-documented. There is a strong correlation between elder abuse, child abuse, domestic violence, and animal cruelty. 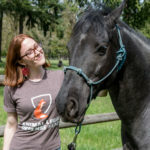 A 2017 study found that 89% of women who had companion animals during an abusive relationship reported that their animals were threatened, harmed, or killed by their abusive partner. Senior citizens and disabled adults are particularly vulnerable to abuse at the hands of caregivers – putting their companion animals at risk as well. More than 35% of adult protective services workers report that their clients have talked about their pets being threatened, injured, killed, or denied care by a caregiver. 43% of mass school shootings involved people with a history of animal cruelty. Find a list of studies establishing the link between animal cruelty and other forms of violence here. Betty Jo Barrett et al., Animal Maltreatment as a Risk Marker of More Frequent and Severe Forms of Intimate Partner Violence, 26-1 JOURNAL OF INTERPERSONAL VIOLENCE, 1 (2017). Humane Society of the U.S. and State of Wis. Dept. of Health & Fam. Serv., Div. of Disability & Elder Serv., Bureau of Aging & Long Term Care Resources, Creating Safer Communities for Older Adults and Companion Animals (2003). Spread the word about this legislation by downloading and posting these sharegraphics on Facebook, Twitter, and Instagram. Click the image to download!